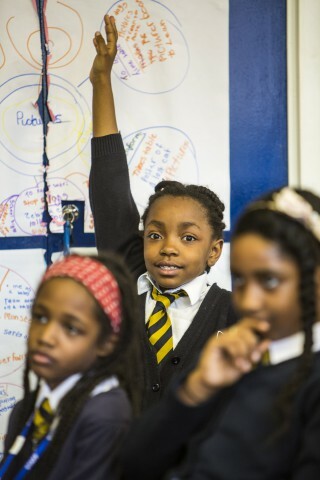 Apollo offer an experience which is unfamiliar to many children and a valuable opportunity for them to develop creatively, socially and culturally. Through this programme children develop a richer, wider experience of classical music and classical instrumentation. 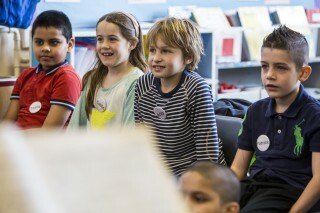 Having ‘real’ musicians in a classroom breaks down the many perceived barriers to accessing classical music and musicians and creates an opportunity for children to engage with different genres of music in a familiar context, gradually building their knowledge and understanding to appreciate a concert at the end of each programme. Children speak very highly of the sessions they receive and of the experience of seeing a classical concert, which is an entirely new experience for most. It is hard to overestimate the value of enriching children’s experience in this way and opening up other worlds and cultures. 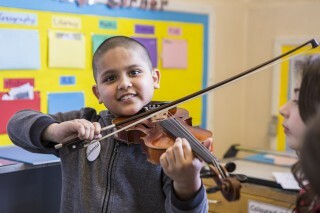 The specialism and expertise of ‘real’ musicians in classrooms creates a safe and aspirational setting for pupils to explore and understand the structures and disciplines that underpin music and performance. 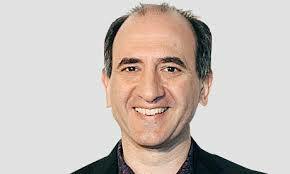 David and his team are able to quickly win the respect and trust of the classes that they work with. The carefully structured programme introduces children to each element step by step, building curiosity and developing understanding. 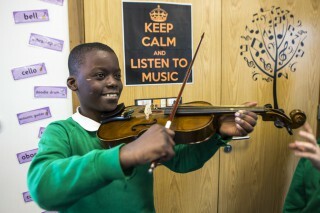 They work very effectively within a busy school environment alongside our class teachers and music specialists. They reflect on the impact and effectiveness of each programme, seeking feedback and responsively developing what they do to ensure it meets the key aims. Apollo have offered our pupils an experience that is hard to replicate outside of this programme and it is highly valued by our schools.